This is a very common argument. This argument seems to make sense at first glance. After all, if the MCAT is 7.5 hours long, covering 8 different topics ranging from physics to biology to psychology, what is the point of torturing yourself with a nearly 8-hour long exam before you’ve mastered the content? You can’t possibly be ready, right? However, as an MCAT tutor who’s worked with hundreds of MCAT students, I’d like to present a different view and make the case for taking a full-length at the very start of your MCAT studying. Simply put, the MCAT is an overwhelming exam. It’s about more that just knowing content in 8 different disciplines. It’s about taking what you know, mixing the topics together, and applying logic and derivations to real world scenarios, case studies and experiments. Think of the MCAT as an exercise in how well prepared you are to take this exam. Not how well you know your content, but how well you’ve prepared yourself physically, emotionally, and mentally to take this particular test. 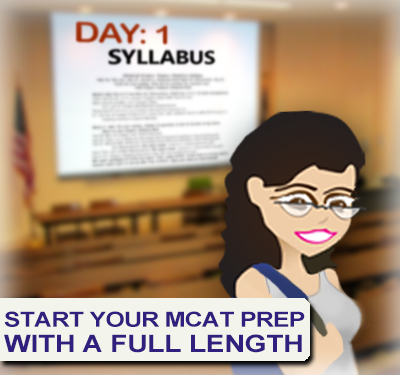 You can think of the MCAT as an exam of how well prepared you are to take THIS exam! No matter how much I try to explain what you should expect from the 7.5 hour exam in terms of its style, format, and duration, no matter how much you believe me regarding the difficulty of this exam, deep down you cannot truly understand what is feels like to sit for the new format MCAT until you’ve been through it for yourself. You will not understand until you’re, confined to your computer for 7.5 hours (with appropriate breaks), sitting there at hour three pulling your hair out because you’re having a tough time sitting still long enough to absorb the umpteenth passage and wacky passage based questions for the day. When a new MCAT student signs up to work with me I have them take a full-length sample test right away. I need for the student to really and truly understand the undertaking that is the MCAT. And the same goes for you. You must know and understand what is coming,and the best way to understand is to sit through a full exam. You need to get first-hand experience of the MCAT style, passages, questions, duration, as well as your endurance, your mood, and your ability to still pay attention by the time you reach the psychology/sociology section of the exam. This first exam serves a another purpose too. If you take the exam under realistic conditions, you’re giving yourself a baseline of where you stand right now. You will use this baseline to map out your desired improvements and the exact path required to get you there. The only time I’d recommend studying for a few weeks prior to testing is when a student has been out of school for at least a year or more. Take 2-3 weeks of solid immersion into the material for a refresher and then take a test. I know you’re scared and don’t feel ready. You’ll never feel READY but you need to get in there and get started! When you take your next full length and the one after that, you’ll have a foundation for comparison, a means to measure the effectiveness of your study strategy and schedule. Only a realistic full- exam will give you this experience and starting point. Half-Length Diagnostic MCATs DO NOT COUNT! 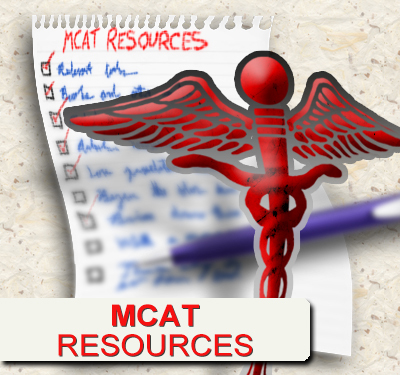 Some MCAT-prep companies will offer a half-exam. I don’t believe in those. How can you possibly know what to expect if the exam is merely 4 hours long? The old MCAT was just over 4 hours long and trust me, this new test is a completely different experience. Test-prep companies are also notorious for making these diagnostic half-exams more difficult to scare you into quickly starting your preparation. Knocking down your morale when you’re first starting out is a bad way to kickstart your long-term motivation. You need a REALISTIC wake-up call, not a ‘scare you straight into a panic’ type of score. So which exam to take? Ideally you’d take AAMC test after AAMC test. But all they’ve published so far is one unscored sample full-length and a ONE scored full-length MCAT. Take the unscored AAMC sample test when first starting. Use as a baseline, but DON’T REVIEW. Work through other company exams during the study process. Next-Step is the highest recommended by students who’ve already tested (see my ranked MCAT resources). Take the AAMC scored exam 2 weeks prior to your real exam on the same day/time as your exam. For example, testing at 8am on a saturday? Take this test at 8am on the saturday 2 weeks prior. This gives you a solid week to reorient yourself to the AAMC style and review weak areas. Retake the unscored AAMC sample test on the same day/time but one week prior to your exam. This keeps your mind on the AAMC style for 2 weeks in a row and gives you a chance to brush up on any remaining weaknesses. Once you’ve taken that first exam and gotten into a study schedule you’ll want to improve based on what you learn from the exams. 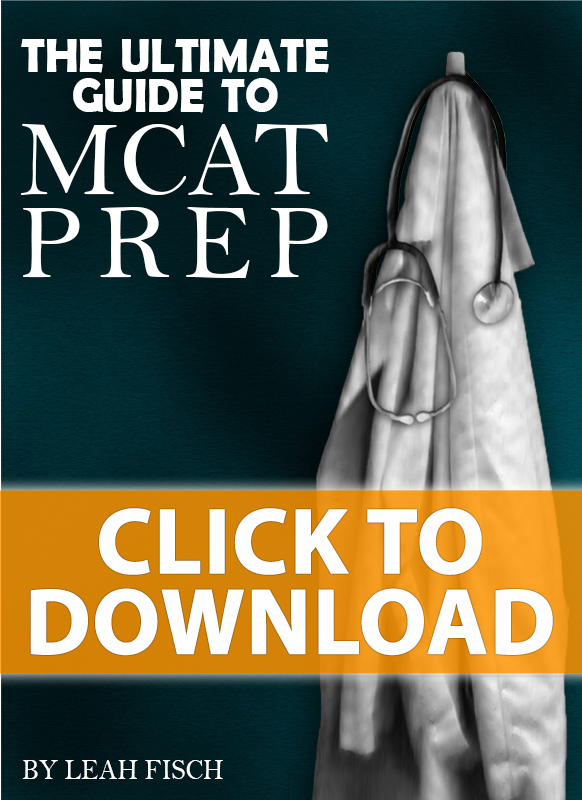 Read 3 Steps to Raising Your MCAT Scores With Full Length Practice Tests to see exactly what to do to improve on each full length. Have you started your series studying yet? If so, have you taken a full length already? Why or why not? Let me know in the comments below. I have taken the AAMC practice test (scored) prior to doing any studies and I did horrible. That proved to me that I have a lot of studying to do. Do you have a resource on how to guage the score for the AAMC Sample MCAT? I guess, the conversion. Thank you for these resources! They have been very helpful during prep! Where is the unscored MCAT sample test located?